This is a list of my favorite games. I always want to play these games. Normally I play with a friend of mine, so almost the games are great games for 2-3 players. I'll keep this list updated. My favorite game for two players. It's very thematic and it's really incredible how the machine begins to work as turns goes by. We love to play The New Era without Winter expansion. It can be played very well with 3 players. 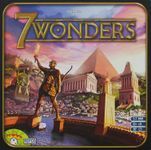 7 Wonders is a great game. Every time we play, we enjoy. It's fast & easy, and can be played with almost everybody (gamers or not). I play 7 wonders with 4 o 5 players. I'm not a big fan of Uwe, but this game is incredible. I often play with my sister. She's not a gamer, but enjoys this game. The animepples are really pretty. It has its own flavor and it's a great game for teaching the "workers placement" mechanic. An amazing game, easy mechanics and deep playability. It's nice and it works with any number of players. If you like meeples, you have to buy this game. Last weekend I played my first real game. I often play Le Havre in the iPad but I've never played on the board. It's an amazing game with several ways to win. I love this kind of games. There's no a winning strategy. You have to adapt your game to available buildings and resources. 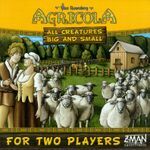 The rules are easy, the setup is quick and when you're playing, the time goes by quickly It's a great game for 2 or 3 players. In my opinion it's the best game of Uwe. I don't know why, but it was an instant favorite since the first time I played. I love it. One of the best designed games of all the time. It works like a clock, it's simply perfect! Polis is a Different, deep and brain-burner game for two players. It was a great surprise for me. I didn't expected this kind of game when I watched a videoreview. My favorite game when I want to play alone. 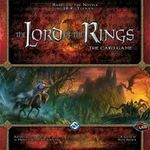 I love this great game, the cards are nice, the rules are consistent and I feel like a character traveling through the Middle-Earth. My other favorite game to play alone. It's one of the best games released through kickstarter. It plays quickly and it's very fun. I don't play this game with more players. I love it!